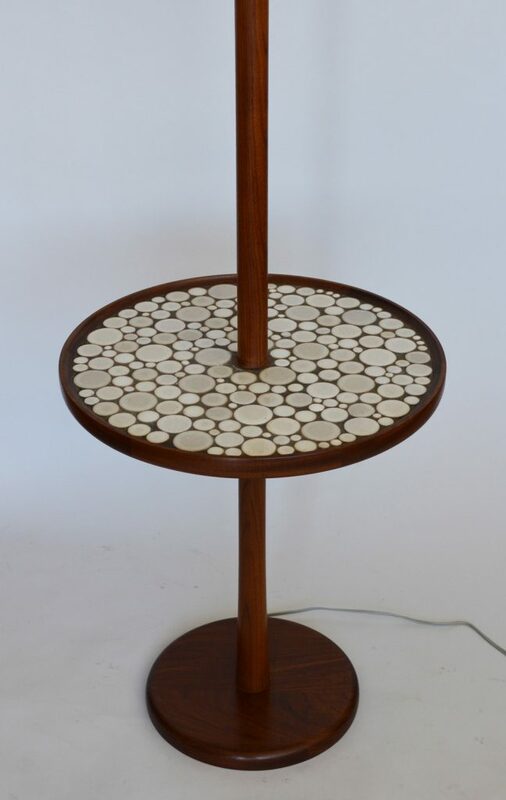 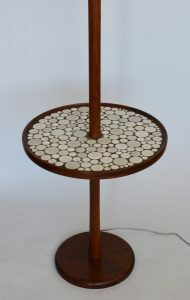 Walnut floor lamp with an integrated table by Gordon and Jane Martz. 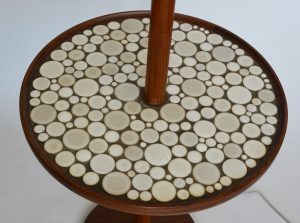 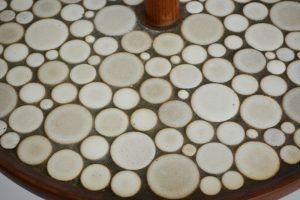 The tabletop features round off-white and light oyster tiles. 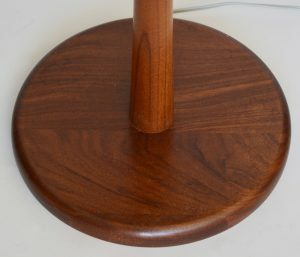 The lamp has the original shade. H 60 in. DIAMETER 17.5 in.